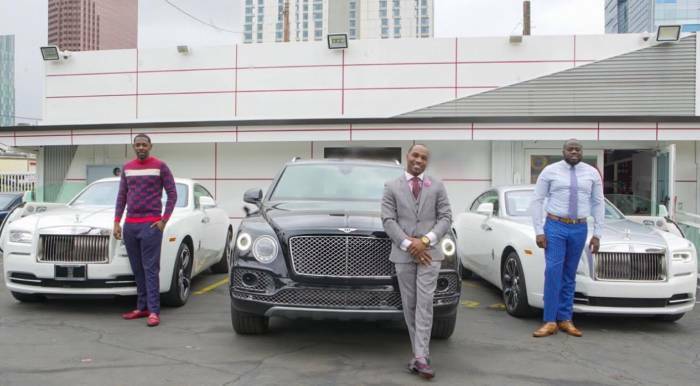 Meet these 3 millennials who built a 2 million dollar automotive company in just one year. PTG365, which was founded by Brandon Medford (26), Dave Obaseki (28), and Eric Whitehead (24) is an automotive dealership that specializes in luxury car rentals as well as helping low income families get their dream cars. What separates them from other dealerships is their connections with manufactures and banks as well as their ability to get all their clients approved within 24 hours. The company also specializes in leasing, financing, credit repair, accidents and insurance. Their headquarters is based in New York but within a year they’ve expanded to Los Angeles, Florida and Atlanta. All of the founders have an extensive background working for car dealerships and came together in 2017 to launch the brand. PTG365 has an array of clients ranging from doctors, lawyers, professional athletes and business professionals. They also take pride in changing the lives of everyday people that need help getting approved for the car of of their dreams. Regardless of the clients credit score, social status or income, PTG365 is dedicated to fulfill anyone’s automotive needs. Their most notable clients include Rich The Kid, Isaiah Whitehead (Brooklyn Nets), DJ Spinking & Sean kilpatrick Jr. (Chicago Bulls). For more information visit their website at www.PTG365auto.com Follow PTG365 on instagram as well. Follow @eldorado2452 on Twitter and Instagram for all your music and entertainment news.